Updated to include the Champions League Final 2018 "It is the intensity of the football, of how the people live football in Liverpool, all the Liverpool fans around the world. It is not a normal club, it is a special club." 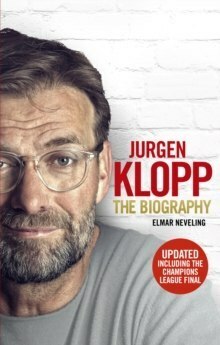 Jurgen KloppAs innovative as Arsene Wenger and as crowd-pleasing as Jose Mourinho, Jurgen Klopp is the charismatic German manager who single-handedly overthrew the accepted order in German football, taking Borussia Dortmund from nowhere to back-to-back Bundesliga titles and the Champions League final. He had long been admired in the Premiership and was finally wooed by Liverpool in the belief he could bring back the glory days to the Kop. Klopp is revered as a master tactician with his own unique playing philosophies like counter pressing and spatial geometry. He is loved by his players for his passion and man-management skills, and adored by the media and fans alike for his disarming wit and charm and exciting football on the pitch. Here is the definitive story of Jurgen Klopp - the normal one - and his footballing genius.